Mark Ellis that is. Ryan and I made the long trip from Sunset Plaza, where we parked, to The Comedy Store, where our friend Mark Ellis was doing a set in The Belly Room. Halfway there, I was “that girl” who broke the heel of my shoe in the sidewalk. Ryan doesn’t want me to spend the $10 it would take to get them fixed even though they only cost me $5 downtown at the LA Fashion District! Our respective logics don’t agree on this matter. Anyway, back to The Comedy Store…y. Above the main room at The Comedy Store is a neon sign that reads “The Belly Room”. What Ryan and I didn’t know is that there’s also a neon arrow pointing up the stairs… but that part is burnt out. So Ryan and I sat through several sets until Mark’s spot came and went. Then we looked at each other; and he got up to find out where The Belly Room really is… on the way, he found Mark… who had just finished his set. Upstairs. Here’s a picture of my broken shoe. what a bummer! about missing your friends set… and the shoe! Funny! All of it. Should be an episode of something. Maybe if Mark tripped on the crack and, crippled now, broke the sign, and ….oooh, oooh,…I don’t know… Seinfelds’ writers made it look so easy!! RE the shoe: Oddly, I can see the logic of both sides of that argument. Dude i so see the lodgic behind the whole thing. 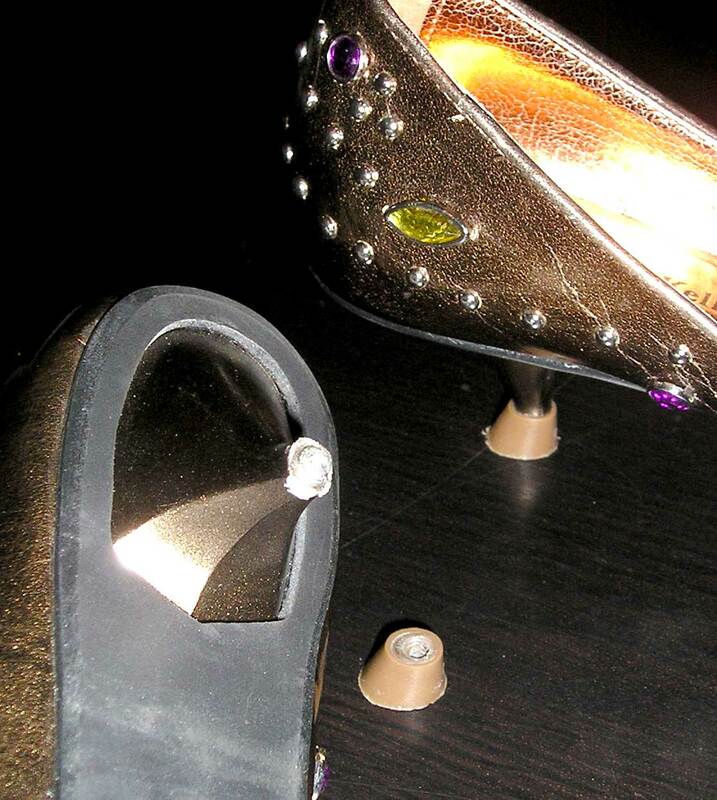 but you need to look at it this way 10 buck to fix a heel of the shoe that carrys your woman. if she tripped and fell busted her knee and sprain her ankle wouldnt 10 bucks be worth all that not happening as well saving her pride if she does trip.